If you are trying to eat a clean healthy whole food plant based diet you become a proficient label reader. That is when you notice that condiments are full of sugar and salt. Now you start looking for recipes to make your own condiments. 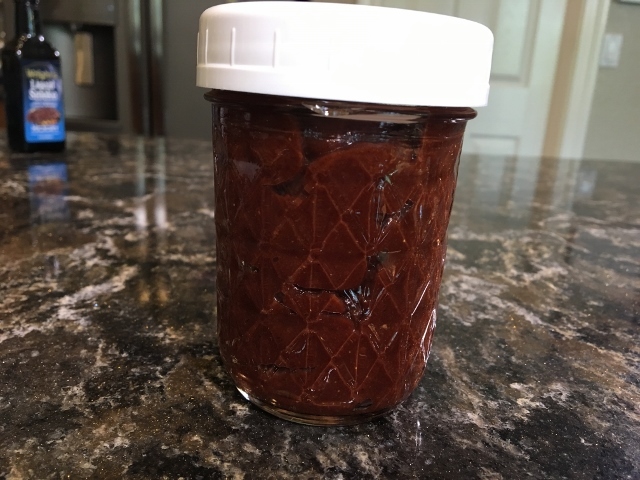 So when your on line friend posts a ketchup recipe that she is touting as being really tasty with out said sugar and salt you can’t wait to try it. When you make it and taste it you know your search is over. This ketchup recipe is delicious. So get out the air fryer and fry up a big batch of no oil fries because you now have an amazing ketchup for dipping! 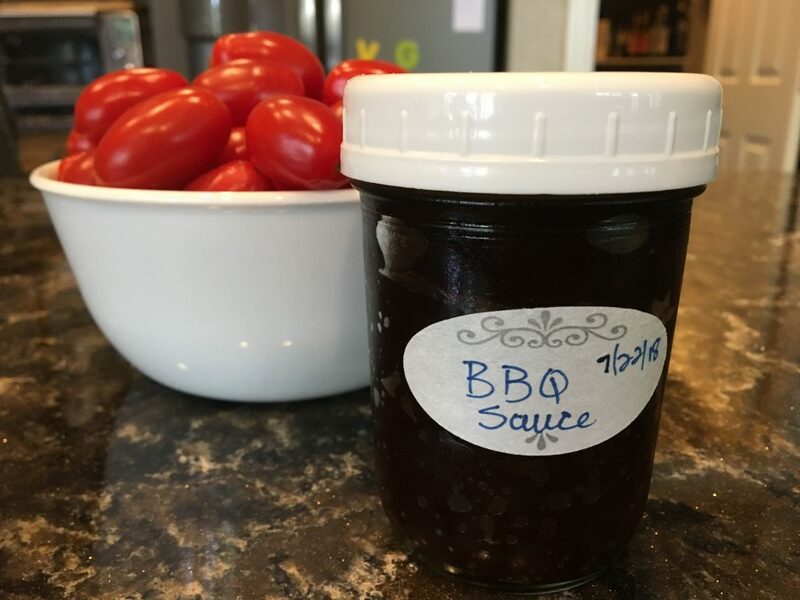 Watch the video to see how easy it is to make homemade ketchup and BBQ Sauce! Be sure to subscribe to my Nutmeg Notebook You Tube Channel so you don’t miss any of my new videos! It’s always a good idea to assemble all the ingredients you will need for a recipe before you start to make it. 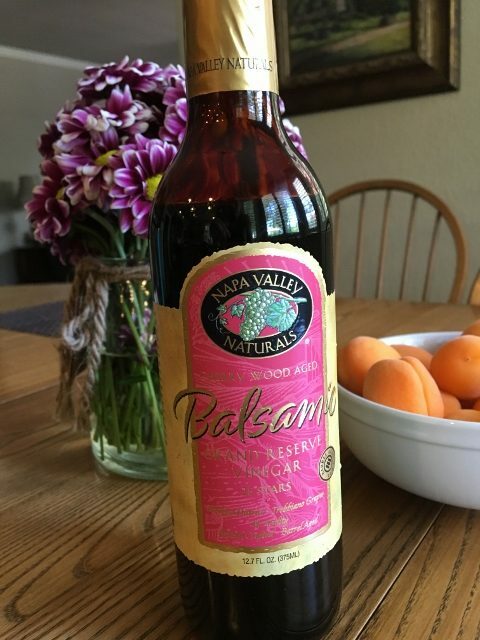 It is important for this recipe to use a sweeter low acidity balsamic vinegar like the Napa Valley Naturals Grand Reserve. It is just 4% acidity and it is thick and syrupy. I buy it at Whole Foods Market or Sprouts Farmer’s Market. You can purchase it directly from the company or on Amazon. Check out my Amazon Affiliate Recommendation Page for items like this and lots of my other favorite gadgets! When you purchase from my affiliate links you help support my work here without any extra cost to you. Thank you for your support! If you don’t have a vinegar like this you could try using a couple dates, date paste or a little Date Lady Date Syrup. The small Ball Jelly Jars work well for homemade condiments like this. I prefer the Plastic Reusable Storage Caps to the metal rings and lids that are actually used for canning. These can be purchased on my Amazon Affiliate Recommendation Page or from Target or stores that carry houseware items. The Dissolvable Labels are perfect for all of your homemade condiments and for labeling items for the freezer. I like to date them as well, as it gives me an idea of how long it takes us to use up the condiments I make. The date is also helpful for the freezer so you can be sure to rotate your inventory and use the oldest items first. The labels really do dissolve in water so clean up is super easy. 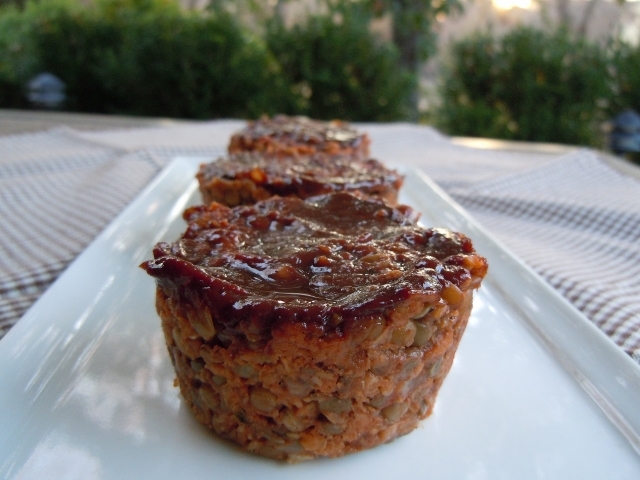 The Ketchup and BBQ Sauce recipes are perfect for making these delicious BBQ Lentil Muffins. These are one of my favorite things to make and they freeze well too. You can make a double batch – eat some now and freeze the rest. Once frozen you can take out just enough for one meal and have dinner on the table in minutes! Since we are talking about all things BBQ flavored I have to share another favorite recipe that is a crowd pleaser! This recipe uses the BBQ Sauce version of the ketchup recipe. Serve these to everyone – yes even your meat loving family and friends. This recipe is to live for! Made in an electric pressure cooker so it couldn’t be easier. Dump everything in and let it cook. It makes a huge batch and guess what – it freezes really well! I love, love, love it served over an oven roasted Japanese Sweet Potato on a bed of fresh baby spinach. 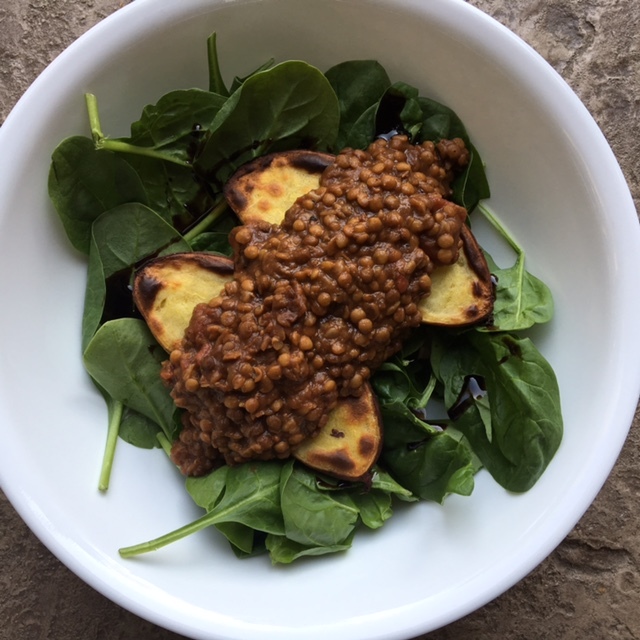 Get the recipe for BBQ Lentils here. 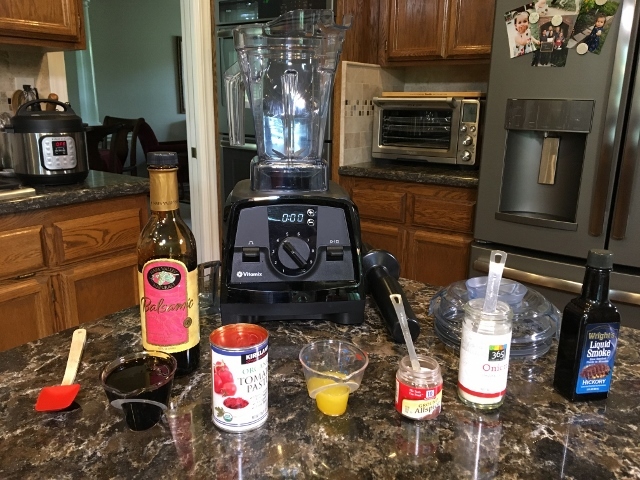 Put all ingredients in a small blender container or a small food processor and process until smooth. If you don’t have a small container you might need to double the recipe in order to process it properly. If it’s too thick for you – thin it with a little water. Scrape it into clean glass jars with lids. Store in the fridge. *If you don’t have access to a sweet low acidity vinegar you might need to add a date or some date paste or date syrup to cut the acidity. For Chipotle ketchup add 1/4 teaspoon ground chipotle chili powder, 1/4 teaspoon garlic powder & 1/2 teaspoon ground cumin. Recipe developed by Mairead Reddy and shared with permission. Previous Post: « Watch the Video of Tami & Al’s Radio Interview! This looks so good – have you ever made a large quantity and actually canned your results?